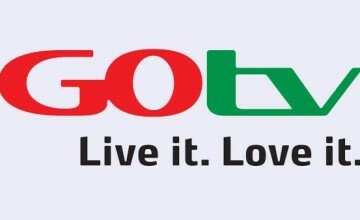 Here is what to find on GOtv This weekend starting from September 17th to 24th. Check out the update on your favorite GOtv channel. City Girl Diaries: Five beautiful 30-something best friends are taking viewers on a high-class journey through their fast-paced New York City lives. Despite their drastically different personalities and busy careers, these women remain inseparable as they navigate old friends, new beginnings and awkward situations. This month, Marianne does her first stand-up comedy set about the girls, who are less than entertained and Leila begs her former publicist to take her back. Tune in to Style Network (GOtv channel 26) for the new City Girl Diaries on Tuesday 17 September at 7:15PM. LA: City of Demons: Join bestselling crime author James Ellroy as he takes a look at some of Hollywood’s most notorious crimes in LA: City of Demons. Beginning with a deeply personal account of the genesis of his fascination with crime, the unsolved murder of his mother in 1958, Ellroy pursues other cases that have captured his imagination and curiosity; speaking to the childhood killer of a notorious LA mobster, offering a homicidal history of Los Angeles serial killers and marking the misdeeds of the rich and famous. Put on your detective hat and join Ellroy in this chilling series on Thursday 19 September at 9:50PM on Discovery World, GOtv channel 50. One on One: This Prism Award-winning sitcom stars Flex Alexander as Mark Washington, a former NBA star, and Kyla Pratt as his daughter, Breanna. In Season three, Breanna continues attending college in Los Angeles and sharing a commune with a bunch of eclectic and eccentric roommates. Look out for celebrity cameos by the likes of Solange Knowles, Smokey Robinson, Angie Stone, Eve, Floetry and Li’l Romeo. Season three of One on One starts on Friday 20 September at 5:40PM on Sony Max (GOtv channel 21). Pocahontas: In this episode, Pocahontas faces many difficulties one of which is the wicked witch from the Hopi Tribe. Everyone knows the woman as Spider Woman – will Pocahontas get stuck in her web of evil or will she manage to defeat the witch and continue on her quest across the continent? Tune in to KidsCo on GOtv channel 61 on Sunday 22 September at 6:22PM to find out. IN ADDITION: As a GO-getter, catch some great local channels on offer in digital quality on GOtv, including NTA International, Channels, STV, LTV, AIT, MiTV.